How to Find a Wedding Photographer You Trust — And Why That Matters — Catalyst Wedding Co. If you're like most engaged couples, you've been scouring websites, comparing packages, and wondering how many hours of photography coverage is normal. You're probably feeling some pressure to pick a great wedding photographer since your photos are the part of a wedding that lasts once it's over. And not to add to your wedding stress, but the team of event pros you select to make your wedding day happen have a huge effect on how the day turns out. Jessica Hunt wants to help you figure it out. If you ask her, she'll tell you that the two keys to picking the right photographer for you are trust and connection. You may notice that neither qualification has anything to do with what a wedding photography package includes or how much it costs — and there are a bunch of reasons for that. Some wedding pros think of your wedding as just another day at work, like any other Saturday. They will show up, do their job, get paid, and go home. 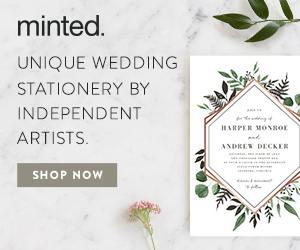 But it's your one wedding day — a day you've spent a lot of time planning and money to make happen. And it's a big deal to you! Do you think of your wedding as being one big, emotionless transaction? Probably not — and that's why you should hire a wedding photographer who treats your relationship and your wedding as the very special things they are. When you hire Jessica, she's going to take the time to really get to know you. Over the course of your engagement, she'll get to know you through four different questionnaires, covering details about your relationship, how you met, and why you're getting married. Then she'll photograph your wedding with who you are, your story, and why you love each other in mind. Truly knowing you means she'll be creating images that represent you — not just the same poses you've seen on Pinterest a thousand times. Having an amazing wedding starts with trust. You're hiring a team of artists, makers, and managers to bring your vision to life. If you had the skills and talents to do it yourself, you probably would, right? But you've put in the hard work of finding people whose work and styles match your wedding vibe — so now it's time to trust them to do their thing, and do it well. When it comes to photography, you'll be at ease because you're confident that Jessica will be using her trained eye to compose the best image and capture the perfect light. And because you trust the process, you'll be comfortable allowing her to direct your position or pose to get the best shot. Best of all? You'll look relaxed and happy in your photos because you're just hanging out with your photographer friend, having a good time while she snaps away. That's going to result in better wedding photos every time. Your wedding photographer is going to spend virtually the entire day at your side, which means you want to choose someone you actually like. You'll naturally look more like yourself in your photos when you're at ease with the people around you — and that includes your photographer. If you don't connect with them, you're going to have a stranger following you for eight hours, making you feel uncomfortable — and that will definitely show in your photos. When considering who will be with you all day, make sure your photographer is someone who gets you. Someone you won't hesitate to share your genuine smile and real laugh with; someone who will help your partner loosen up for photos even though they usually hate being in front of the camera. You know, the kind of person you wanna grab a drink with afterwards! So, How Do You Choose the Right Wedding Photographer? Find Out What the Photographer Believes. Get a feel for their personality and their values. We usually connect with people that think like us, talk like us, and have something in common with us. So if you're looking at a website and it's full of straight, white, Christian couples and that's not you — they might not match up with your values. On the other hand, if you're seeing photo after photo of couples with their fur babies and you have two or three of your own, then this might be the photographer who should shoot your wedding. Before you contact them, do some internet sleuthing. Check out their social media feeds and research beyond just their website to see what they put out about themselves and their work. Find out who that person is in an everyday, real life sense. Do a gut check on whether their work and personality resonate with you. Jessica says she's a pretty open book on social media. She speaks her mind, especially on the political front, and that's the real Jessica Hunt. She keeps it real because she wants to connect with couples who get her, too. Look for buzz words about connection and ease — it'll be in their reviews that they make people feel good and cared for; that their wedding was not just a transaction. Certain parts of the wedding industry (rentals and linens, for example) tend to be very transactional and that's fine. But if you want a vendor you connect with, that you feel comfortable and safe with, look for signals in their online presence. It's the language they use. Looking at their photos, is it just pretty all the time? Or is it photos and a story about the couple because they actually spent time getting to know them? Don't Hire a Photographer (or Anyone Else) Unless You've at Least Spoken with Them on the Phone or in Person. If you can't talk and chit chat and have a comfortable conversation for a half an hour or so, don't hire that person to shoot your wedding. If you're not comfortable at that point — if you feel like you can't talk to them or you have nothing in common with them — you're not going to be comfortable at your engagement shoot or through an eight hour wedding day. This is so critical to Jessica that she won't book a couple without having met or spoken with them on the phone. She wants to be sure not only that she knows you, but that you've heard her voice and gotten to know her a bit, too. Is Jessica Hunt the Wedding Photographer for You? Meet Her and Find Out. Jessica is based in Columbia, South Carolina and loves to travel to nearby cities like Asheville, Charlotte, Atlanta, and beyond for passionate couples who share her ideals and want to invest in their wedding photography. 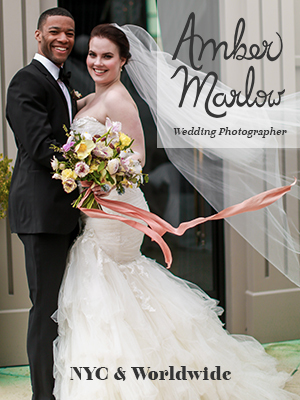 If you're a passionate couple who craves a connection with your wedding vendors and wants a wedding photographer who is truly invested in you, then you're exactly the kind of couple that Jessica wants to work with. So go ahead — stalk her social media, check out her website, read her reviews. And if you think you might get along? Schedule some time to speak with her in person and find out. 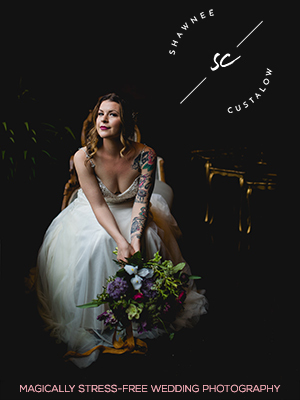 Get a $250 credit towards any wedding photography package when you book Jessica Hunt Photography by June 30, 2019 for your 2018 or 2019 wedding.